For the fifth year in a row, Governor Larry Hogan has proposed major funding for restoring the Chesapeake Bay and protecting the environment and well-being of Marylanders. 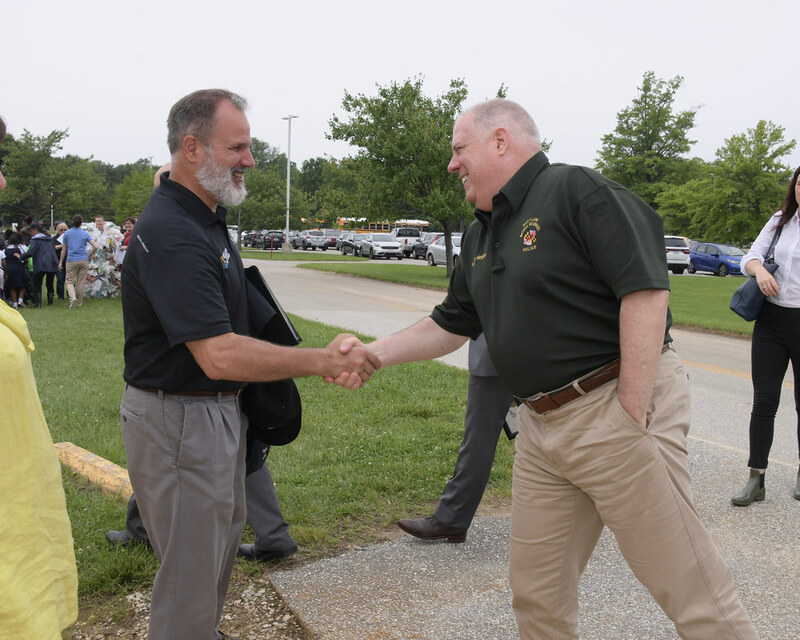 “Through his funding priorities, Governor Hogan continues to demonstrate unprecedented support for initiatives that protect our lands and waters and prepare our citizens for the future,” said Maryland Department of Natural Resources Secretary Mark Belton. “This year’s budget continues to advance in major and innovative ways the Hogan administration’s leadership in restoring the Chesapeake Bay and tackling climate change,” said Maryland Department of the Environment Secretary Ben Grumbles. The fiscal year 2020 budget continues Governor Hogan’s commitment to fully fund transfer tax programs – including Program Open Space – with no diversions of special fund relief revenue to the general fund. Programs funded by the transfer tax receive $267.5 million, a $14.5 million increase from FY 2019. The money provides additional support for state and local land conservation and recreation programs, Maryland Park Service operations, and capital maintenance and development projects in state parks.The budget includes $3.5 million in Payments in Lieu of Taxes for counties with the highest acreage of state-owned protected and preserved lands. The budget also includes $117.1 million in Bay Restoration Funding (BRF) that supports grants to upgrade major municipal sewage treatment plants, cover crops, and grants for other nutrient reduction programs such as sewer hookups for failing septic systems — all in support of a cleaner Chesapeake Bay. Included in that money is $10 million in BRF money — a $4 million addition over FY19’s $6 million appropriation — authorized by the Clean Water Commerce Act to purchase cost-effective nitrogen, phosphorus, or sediment load reductions. In addition, the Chesapeake and Atlantic Coastal Bays Trust Fund will receive $53.6 million, which is the fourth year in a row that the Hogan administration has fully funded that fund for Bay restoration efforts. Governor Hogan also proposes to double the tax credit for zero-emissions vehicles, which will assist in reducing greenhouse gas emissions that contribute to climate change and nitrogen pollution in the bay. The Hogan administration continues to emphasize climate resiliency and preparedness, such as Coast Smart and Climate Resiliency programs and new funding for the Flood Hazard Mitigation Fund, which will fund capital projects that assist with comprehensive flood management techniques in the aftermath of Maryland’s wettest year on record. MDE’s Energy-Water Infrastructure Program has $13.3 million in continuing funds for energy efficiency, renewable energy, and combined heat and power projects at water and wastewater treatment plants to help reduce the cost of treating water and reduce greenhouse gas emissions. For the third year in a row, $2.5 million is provided to help young farmers acquire farmland to implement sustainable agricultural practices under the Next Generation Farmland Acquisition program. The budget also includes $200,000 to match county contributions towards efforts to control nuisance insects.